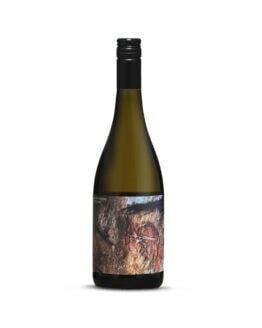 “The 2015 Green Glow Skin Fermented Sauvignon Blanc spent two to three weeks on the skins, then six months on the lees, resulting in a brassy colored wine that’s full-bodied but only moderately tannic. Guava and honeyed notes give the impression of ample ripeness, and the wine is round and mouth-filling, with a gently dusty finish. Impressive. 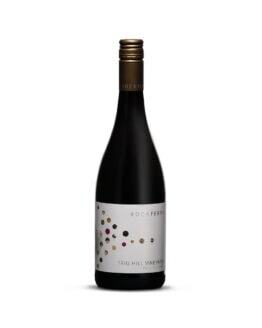 “Destemmed without crushing leaving whole berries in the ferment. This mid-gold wine has spent two weeks on skins, gone through full malo and six months on lees before being bottle d unfined and unfiltered. The result is a rich, full bodied and phenolic off-the-wall Sauvignon Blanc that’s more about texture than aromatics. It has a high level of concentration and intensity. Bone dry with nutty, grassy flavours. Bottled using crown seal cap. Tasting Note: Golden yellow colour. Complex stone fruit aromas with hints of marmalade and smokiness on the nose. An opulent and creamy texture in the mouth. Peaches and nectarines combine with more complex flavours of spicy jalapeño and pithy grapefruit phenolics. A crisp, balanced acidity and a long finish with hints of creamy oyster and lemon zest. Winemaking Notes: Grapes were hand-picked from the Eastern section of the vineyard, which due to lighter, less vigorous soils and more wind exposure produces smaller, riper berries and lower yields. De-stemmed without crushing, fermented at cool temperatures with indigenous yeast. Two weeks on skins, fermentation finished off skins to ensure minimal oxidation. Extensive lees contact over six months to develop the characteristic texture before being prepared for bottling. Unfined, unfiltered.